Love, emotional and financial support to empower women and girls. The Heart Led Living Foundation was created to extend love and healing energy as well as emotional and financial support to empower women and girls. Our mission is to ignite our hearts to uplift humanity and unify our love for each other and our planet. We do not give from a place of fear, obligation or self sacrifice. Anything given from fear only expands fear. Instead we extend support (financial and otherwise) from a place of love and heart led guidance. As we meet fear with love, love expands. We are contributing to long term solutions that will create a ripple effect that impacts our entire planet. We believe giving is receiving and receiving is giving. If you would like to contribute to a heart led cause and at the same time contribute to your own healing and awakening we invite you to join our global Heart YES movement through our Heart Led Living community. Become a member starting at only $15/month you receive access to Sue and other intuitive coaches and healers plus a library of resources, meditations and recordings AND every month 10% of your membership is donated to our Heart Led Living Foundation projects. We are thrilled to share that we have donated 217 Days for Girls Kits! That means 217 Kenyan girls get to stay in school during their monthly cycle. 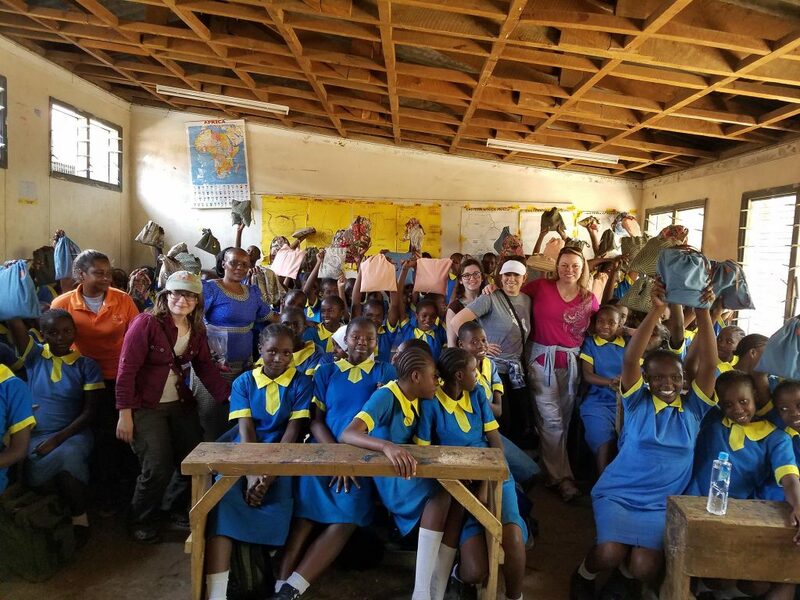 Here is a photo of the girls when they received the Days for Girls kits we donated through 100 Humanitarians. The principle from the school in Bomet reported that all of the girls who received the Days for Girls kits have not missed a day of school. Every donation provides the funds to make the kits locally. Each kit lasts 3 years and is handsewn by women in the Kibera slums. When we empower a young girl we are also empowering women and families in Kenya. Thank you for your time, love and energy. It takes a village to change the world and we appreciate everyone who feels called to join us. If you are ready to experience deep healing and a profound awakening while sponsoring young girls to stay in school through our Days for Girls project we invite you to join our global Heart YES movement through our Heart Led Living community. Thank you for extending love and support. We appreciate you! When Sue fir st met Edel Quinn three years ago she knew instantly this woman was following her heart's work and fulfilling her life's calling. Edel is a social worker who has been providing business education, entrepreneurial training and emotional and social support to the women of the slums. Once they complete the Karaffa Business Academy they receive microloans to start their own business. It is the combination of education, mind set retraining, and financial support that provides the means to create and ensure long lasting success. 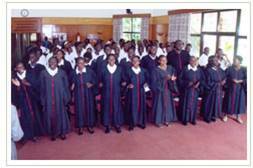 Since 2001 the Karaffa Business Academy has helped more than 150 women and their families. With Edel's support 17 women were successful enough to move their families out of the slums breaking the cycle of poverty. 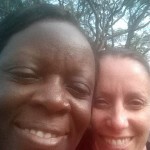 Sue traveled to Kenya to visit Edel in August 2015 and again in May 2016. 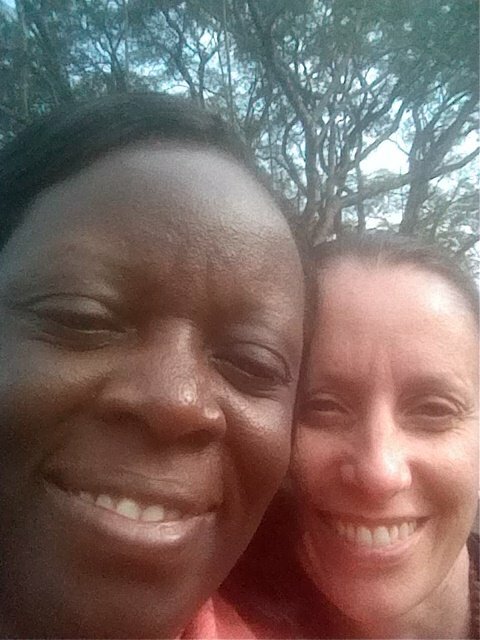 She spent weeks learning all about the academy and meeting the women and children of Kibera. Sue extended love and healing energy to those in need as well as provided coaching for Edel on how to create self sustainability for the academy. Great News! We raised $2607 in donations and provided a laptop, internet hub, digital camera, donated many hours of coaching and website/domain support to Edel and the Karaffa Business Academy.